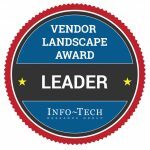 LONG BEACH (Laserfiche)—December 28, 2011—Laserfiche today announced that it has been listed as a Champion in Info-Tech Research Group’s Enterprise Content Management (ECM) for Process Workers Vendor Landscape. Based in Ontario, Canada, Info-Tech Research Group is North America’s fastest growing full-service IT analyst firm. Increase the efficiency of workers that engage in repetitive tasks. With a paid membership of over 8,000 organizations worldwide, Info-Tech Research Group (www.infotech.com) is the global leader in providing tactical, practical information technology research and analysis. 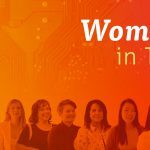 Info-Tech Research Group has a thirteen-year history of delivering quality research and is North America’s fastest growing full-service IT analyst firm.